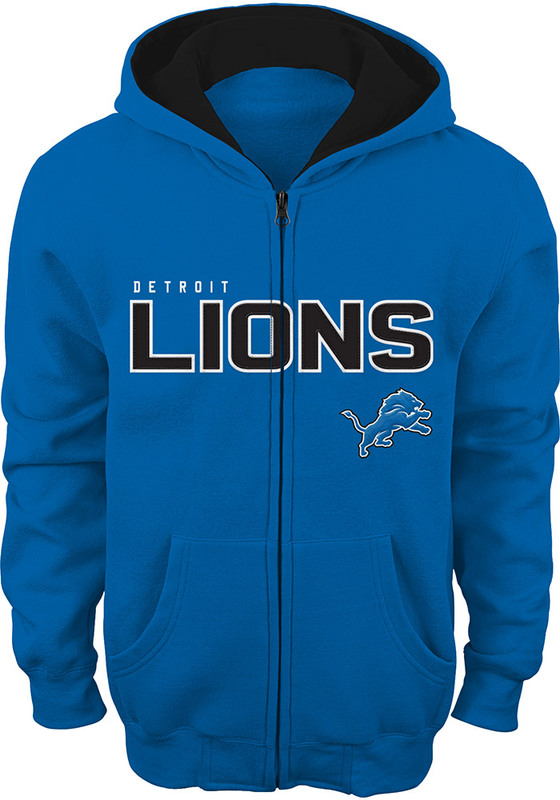 Let your little fan show their Detroit colors in this Detroit Lions Full Zip Jacket. This Youth Grey Stated Fleece Long Sleeve Full Zip is the perfect way for any young fan to show their spirit. Featuring a team issued wordmark in applique and direct embroidery, this Full Zip Jacket is a great addition to any fan's wardrobe.